The use of vinyl has been one of the most popular banner materials for decades. Primarily, it’s a cost-effective option besides being durable for many outdoor functions. Vinyl is also waterproof, it does not fade, and it offers crisp for bright colors. These exemplary features qualify Vinyl to be the best option for many significant functions. If you are looking for an excellent choice for a banner that stands out for all outdoor uses, go for Vinyl. Vinyl also possesses a versatile trait that lasts for many years. Mesh vinyl has waterproof and fading resistant features just like vinyl. In addition, mesh vinyl material has tiny holes which allow air to pass through making the banner material breathable. As such, mesh vinyl is more durable than vinyl. Additionally, mesh vinyl is wind resistant whereby as the air passes via the holes quietly, the banner is prevented from flapping. Notably, if you are looking for a perfect material to hang a fence banner, go for mesh vinyl as they are also an investment towards a long-term solution. Mesh vinyl banner materials can also be reused often. This is an excellent alternative in cases of free-standing banners. Usually, in situations where you want to make use of your wall, windows or smooth surfaces to hang your banners, an adhesive vinyl banner is a perfect choice. 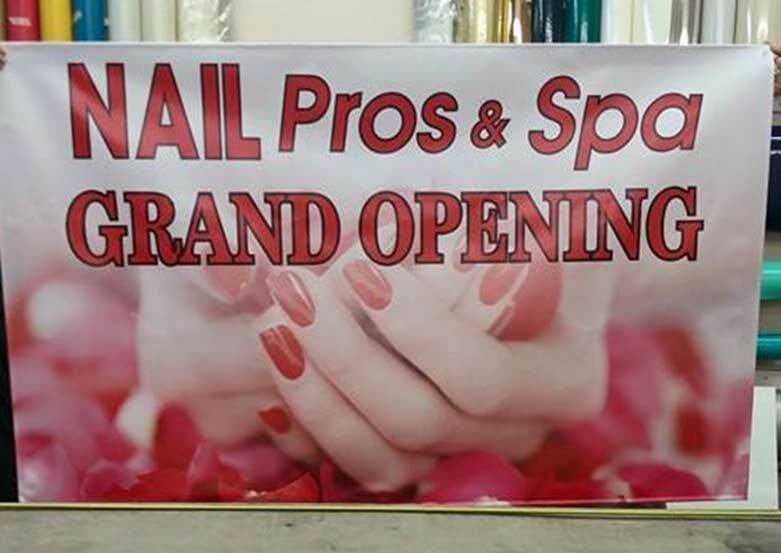 Adhesive Vinyl banner is waterproof, wrinkle resistant, fade resistant and also durable. Additionally, it is easy to wash, and it can be reused. As such, you need not worry about your banners flapping in the wind. The banner mentioned above materials possess distinct features that make them outstanding. Choosing the perfect banner material is not a straightforward procedure. As such, there is a need to figure out which is the best banner materials. Notably, you ought to make a selection of the best materials such as Mesh Vinyl, Vinyl, Adhesive Vinyl, Polyester Vinyl, and Canvas among others. This selection is based on an individual’s intentions as well as visions for the banner of choice. Are you going to use the banner indoors or outdoors? Also, you should consider whether different banner materials depict best ink compatibility or not concerning particular colors As such, it is advisable to make a review of all the banner materials and pick the best.